Iron deficiency is one of the most common nutritional deficiencies in a human body. Iron is the mineral that is vital for producing haemoglobin, a protein that helps red blood cells deliver oxygen around the body. So, if your body lacks haemoglobin, the tissues and muscles wouldn’t get enough oxygen, and further hamper the body function. This condition is known as anaemia. There are different types of anaemia; iron deficiency is one of the most common conditions. Iron deficiency is one condition that is said to result in quite unpleasant symptoms. Such symptoms may affect your day-to-day life as well. Signs and symptoms of iron deficiency can depend on the severity of the condition, your age and current state of health. Pregnant women need the most amount of iron, considering the developing baby needs more blood circulation. Let’s look at some of the signs that your body is showing that you are iron deficient. If you are feeling fatigued all the time and get tired easily, there is a chance you might be iron deficient. It means that your body is not able to carry enough oxygen to your cells, which further affect your energy levels. So, this tiredness wouldn’t go even if you sleep well or take sufficient rest. Read: Here’s why you feel tired even after a good night’s sleep. When haemoglobin is low in your body, oxygen levels are low, which means your muscles don’t get enough oxygen, not even sufficient to do basic activities like walking. As a result, your breathing rate tends to increase as your body tries to get more oxygen. So if you find yourself panting while walking or doing your daily task, there is a chance you are dealing with iron deficiency. Discoloured and dull-looking skin can be a common symptom of iron deficiency. The haemoglobin gives the blood its red colour, but iron deficiency can make the blood less red. This makes the skin look pale and dull. The dullness can be in your nails, gums, face and overall body. Pica syndrome is an eating disorder that triggers cravings for inedible objects, ranging from coins to clothes, cigarette butts to wooden products and even needles. 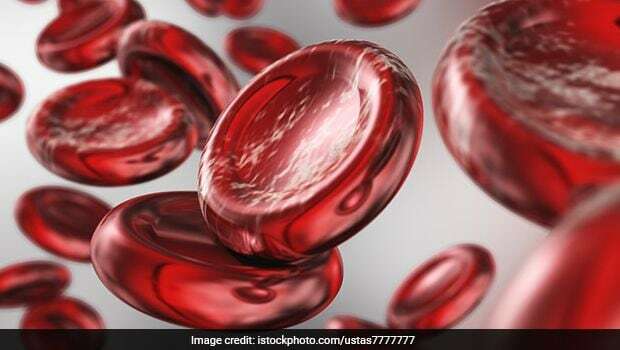 This condition is most common in people with iron deficiency. Another common symptom is hair loss. When hair follicles fail to receive enough oxygen, they go into a resting mode and hair begin to fall out and do not grow back until they get enough oxygen. If you are experiencing excessive hair loss, chances are you are iron deficient. The iron deficiency may indicate that not enough oxygen is reaching the brain, which is what often causes the headaches. Heart palpitation is another symptom that may mean you are iron deficient. Low levels of haemoglobin means that the heart needs to work extra hard to carry oxygen to other parts of the body, which can further lead to irregular heartbeats. Other symptoms of iron deficiency are cold hands and feet, feeling anxious, brittle nailsand frequent infections. Make sure you load up on iron-rich foods and ensure adequate intake every day. In case the symptoms are severe, consult a doctor who can help with iron supplements and foods to recover quickly.